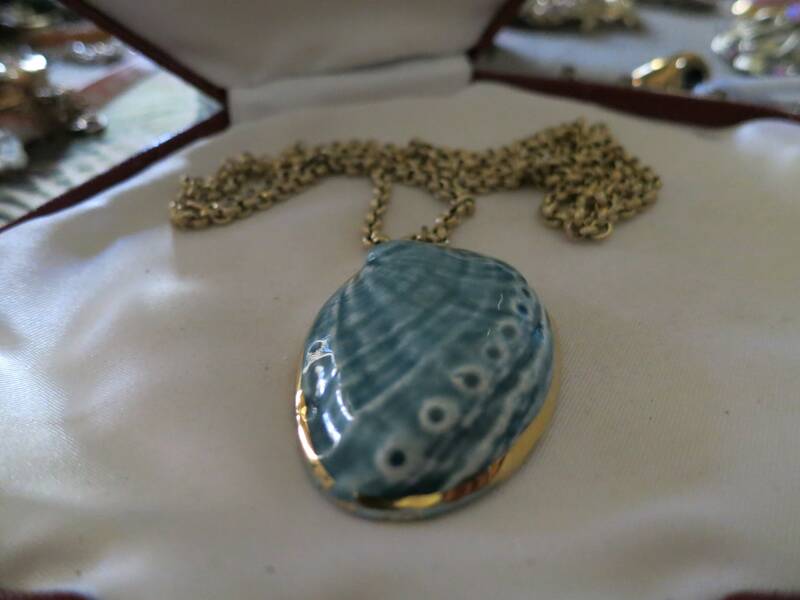 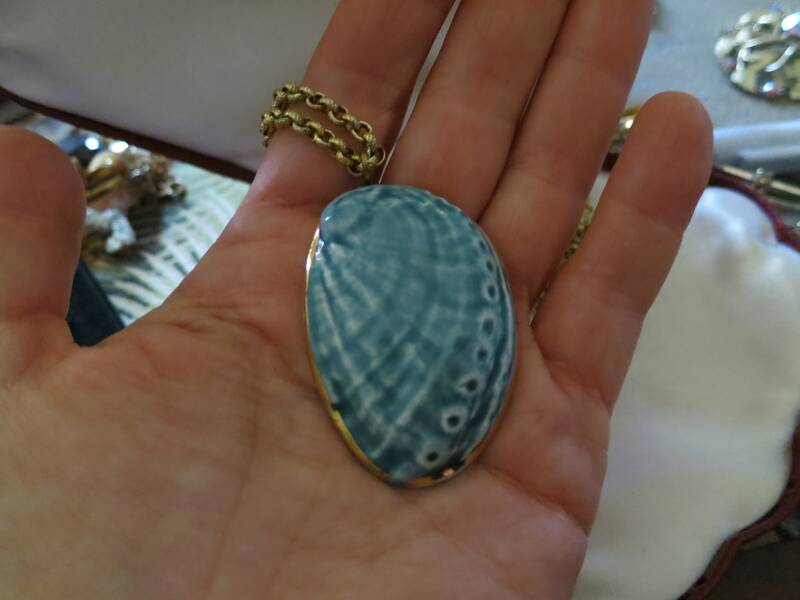 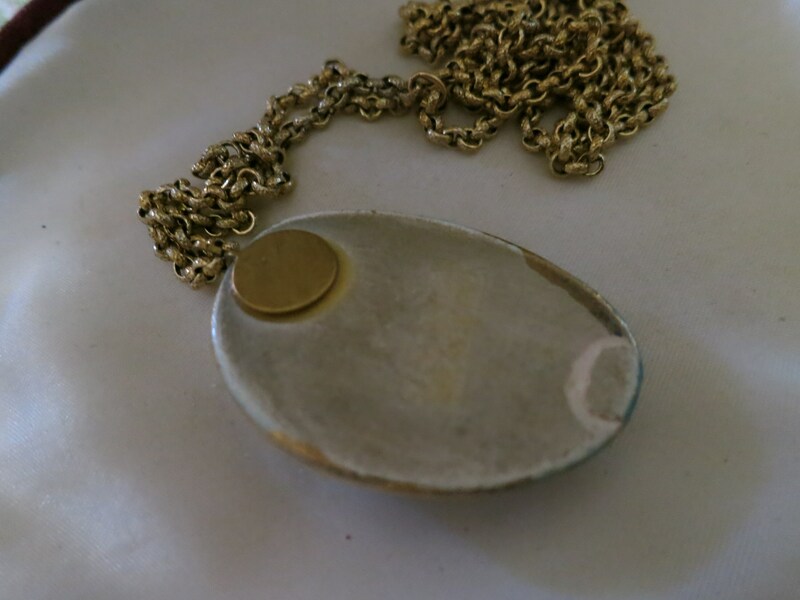 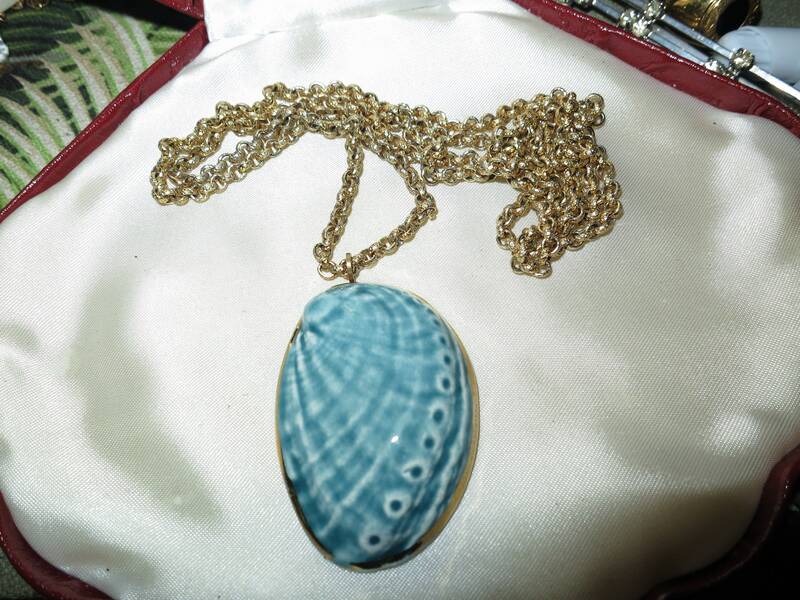 Here is a Beautiful vintage goldtone blue polished ceramic pendant claim shell design necklace 30 inches the chain and 2 inches the pendant. 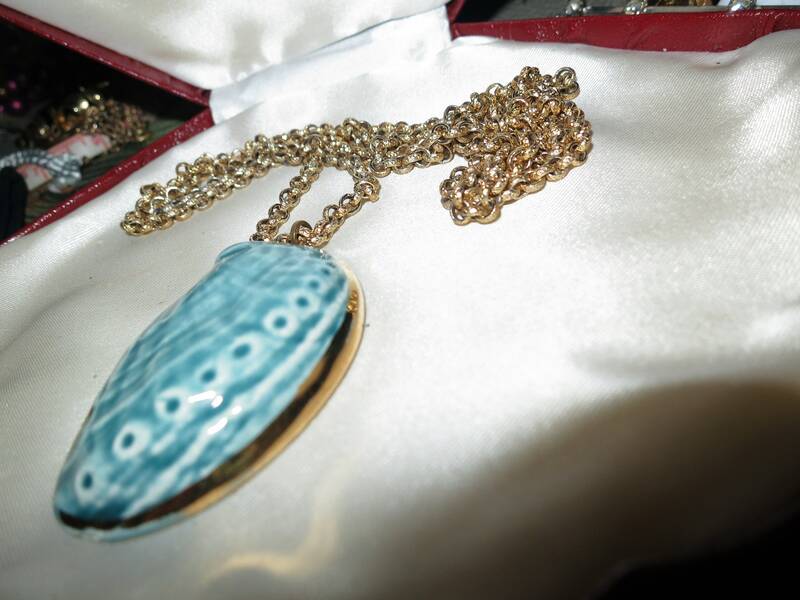 The chain does not have a clasp you can slip it over your head.
. See the many other similar necklaces sold in store.